Here’s something you probably missed in history class: Abraham Lincoln’s famous beard wouldn’t exist if it weren’t for an 11 year-old girl. Seriously. While on his campaign trail, 11 year-old Grace Bedell wrote future president Abraham Lincoln a letter saying that his face was thin and that “growing whiskers” would help him get more votes. Abraham Lincoln, if you did not know, went on to become the sixteenth President of the United States, the face of the U.S. penny and five-dollar bill and one of the famous bearded men in history, so maybe Grace was on to something when she suggested that a beard would bring him success. If you’re trying to win an election or just trying to switch up your look, growing a beard like Abraham Lincoln might seem like a pretty difficult task to tackle. However, it’s easier to get those mammoth sideburns than you think. With the right tools and skills, anyone can grow whiskers like Lincoln. Whether you’re after the iconic sideburns, or the full Lincoln look, these easy steps and comprehensive tool guide can help you get the look you need. 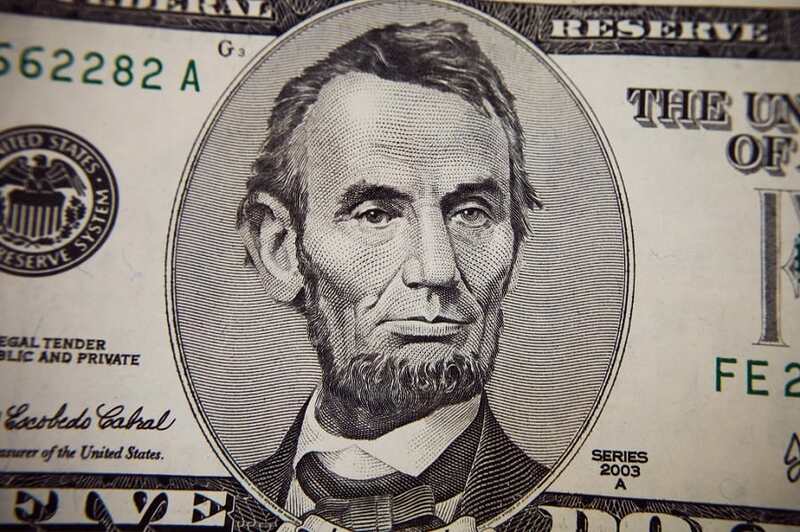 Lincoln’s facial hair, while very bushy, is actually very structured in its shape. To achieve this look, you’ll need to invest in a few very important beard care products. The first, and arguably the most important of these tools, is a beard shaper. New beard shaping products can be very inexpensive when bought online and will make a world of difference when you’re trying to shape your new sideburns. Another essential tool is a quality beard comb. 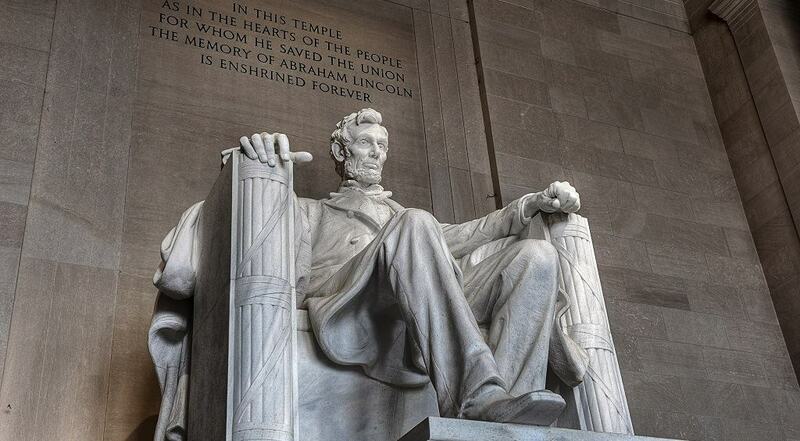 Lincoln’s facial hair was always depicted as very well kept, and top beard combs will help you maintain that. 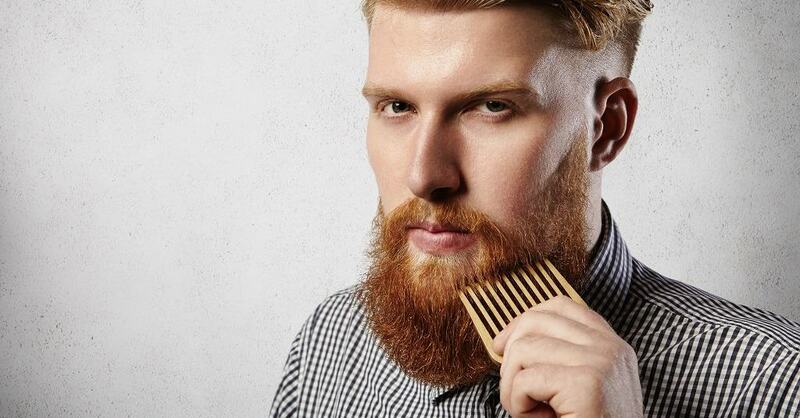 High-quality beard combs are made of materials that won’t irritate or scratch your skin when used, and have teeth wide enough to easily untangle your facial hair. Finally, you will need an electric beard trimmer set to finish achieving your Abraham Lincoln beard. These can be purchased separately or in grooming kits that also often contain beard combs and shapers. Make sure that you have a variety of blade guards that allow you to trim or shave your facial hair down to different lengths. Now that you’re well equipped with all the tools you need, you’re ready to move on to growing and styling your new facial hair. 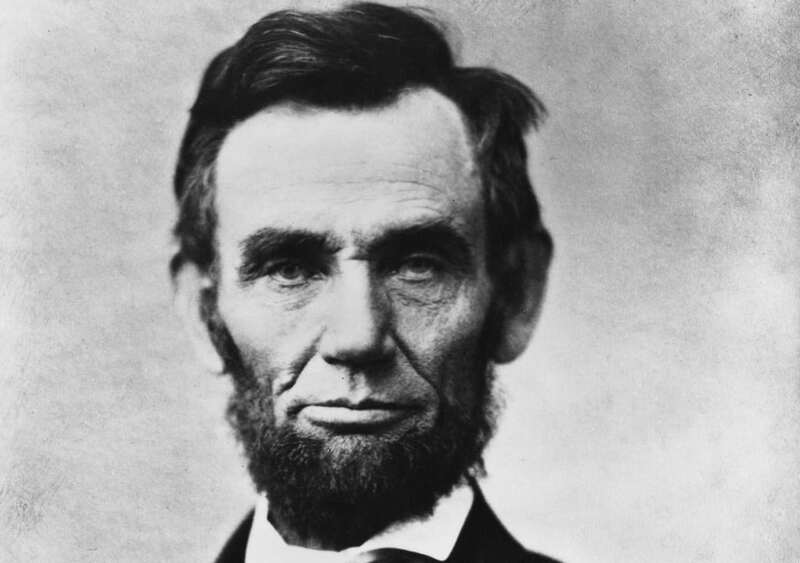 While Lincoln had a very structured style of facial hair, you’re going to have to let yours grow freely for at least four weeks before you’re able to achieve his look. It’s much easier to let your hair grow in excess and trim it down afterwards than to do it the other way around. While you’re growing your beard, don’t forget to keep it clean and combed. Shampoo, condition and exfoliate your beard and the skin underneath it a few times a week to keep it free of debris, dead skin cells and buildup that could slow growth. This will also help you get rid of a patchy beard. After exfoliating, don’t forget to follow up with a nice beard oil. Beard oils are considered a “double-duty” product, as they moisturize and hydrate your beard while acting as a styling product. Using a beard oil will help strengthen your facial hair, making it appear like you want to grow a thicker beard, while preventing breakage. The best beard oil options are made with only a few ingredients, so feel free to make your own beard oil or buy a quality one from beard care shop. In addition to cleaning and conditioning your beard, combing it in the morning and at night with a beard comb will help your beard appear orderly while you are letting it grow. Once you’ve achieved about two inches in length on your facial hair, it’s time to shave away the excess. Here’s how to trim a beard to look like Lincoln’s: use your beard shaper to shave sideburns, approximately an inch wide from your ear to your cheek, into your hair. Then, still using the beard shaper, shave a rounded angle where your chin meets your cheek on both sides of your face. Shave off your mustache and clean up the area underneath your lower lip. Leave your chin and neck alone to continue to grow. This is the basic Lincoln beard shape; you may need to adjust slightly to fit your face shape, but try not to stray too far depending on what look you’re going for. It’s essential to keep your beard combed and styled daily when sporting this look. Because the lower half of your facial hair is being left to grow into a big beard, make sure you comb and use a beard oil to tame any wild hairs every day. Maintain a close shave on your cheeks where your beard and sideburns end to keep up with the look, and trim your neckline and chin line and sideburns every few weeks if they are growing longer than you’d like. Not everyone can be the leader of the free world, but with this positively patriotic look and one of the most popular beard styles, you too can create success for your own life – all starting with your facial hair! Photos from: carlosphotos / depositphotos.com, IrynaTiumentsev / deposithotos.com, avemario / depositphotos.com, alancrosthwaite / depositphotos.com.